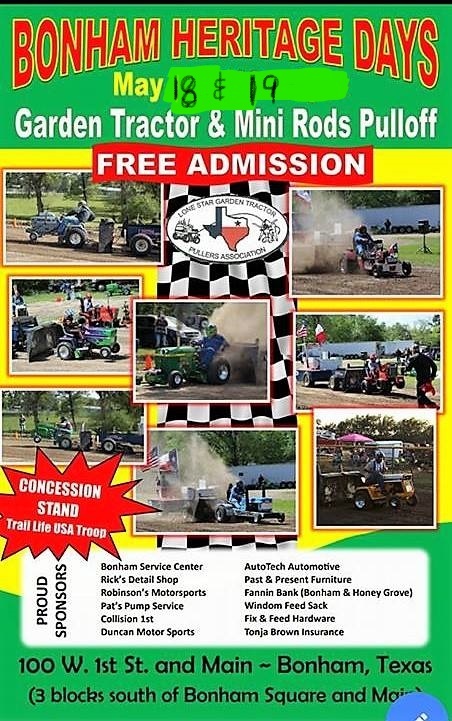 LSGTPA tractor pulling teams from across the region are set to converge on Powder Creek Park in Bonham, Texas, for a rare double header event on the weekend of May 18th. 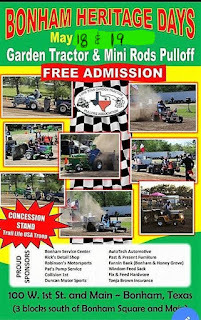 A Friday night show is scheduled for a 6:30pm start, and will feature two rounds of pulling action at the historic park. On Saturday, May 19th, the teams will kickoff the second show at 3pm. The Powder Creek Park Pulling Track is located across from the Bonham Depot, which houses the Fannin County Museum of History.